Alcatel-Lucent developed the Metropolis DMXtend as a next-gen optical access multiplexer specifically for U.S. and North American markets. It extended the DMX family designed to take advantage of features that SONET can bring to a new network. Cost-effectively migrate your equipment and customers to a high-speed data network to maximize revenue at the best rate. You can further increase your profitability by selecting a refurbished Alcatel-Lucent Metropolis DMXtend when you need to extend the reach of your SONET network. We’ll price and maintain everything you must use to grow small and mid-sized enterprise customers while managing your costs. 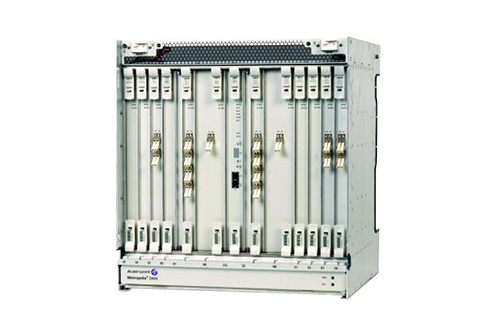 Alcatel-Lucent Metropolis DMXtend also features significant fault recovery solutions, smarter isolation and faster adjustments when there’s an issue with part of your network. The small size of a used Alcatel-Lucent Metropolis DMXtend allows you to deploy them in almost any existing site and keep power consumption and other related costs low. The single-shelf multiplexer can serve your businesses as well as fiber-to-the-curb applications with support for delivering your speeds right up to the customer premises. Worldwide Supply can help you determine the right network equipment, like a refurbished Alcatel-Lucent Metropolis DMXtend, based on your existing needs, customer demands and network budget. Plus, we offer a robust networking management and device repair service to help you stay up and running with fast turnaround, top-quality parts and factory-certified technicians.